What a totally random Friday I just had. 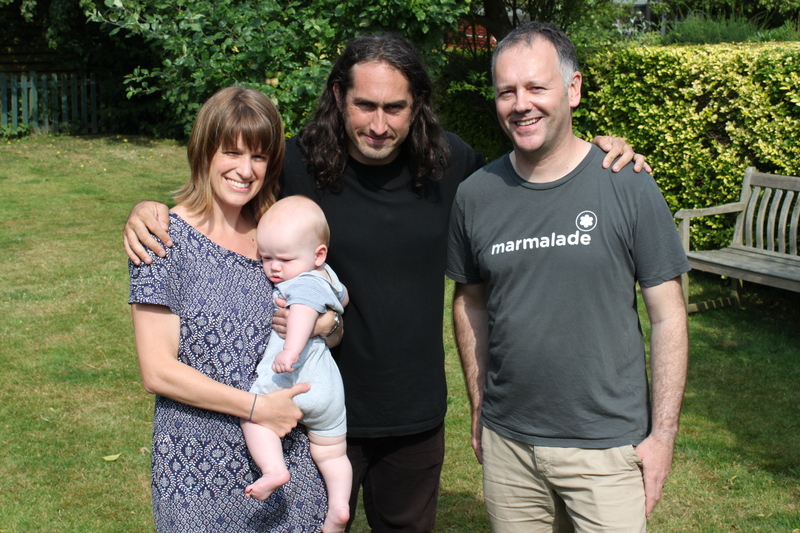 If you’re a fan of Ross Noble then you might have seen his series Freewheeling where he responds to random stuff on Twitter and heads off round the country on his motorbike. Well, he’s currently busy filming for series 2 and when he tweeted this I thought I’d mention my NFC implant. I am looking to feature the following on freewheeling. 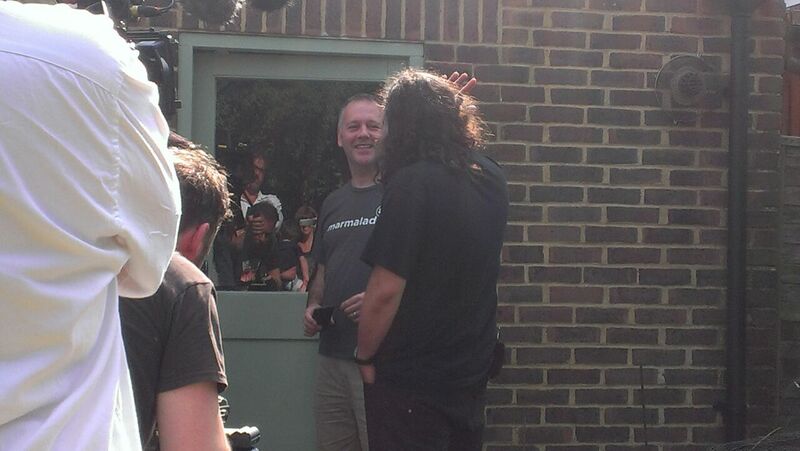 A few messages back and forth with his production team and he turns up with a film crew to have a chat. We spent about 20 minutes or so in my back garden chatting about the back door to my garage / workshop which has an NFC-enabled lock. My wife also had a chat about how she wanted nothing to do with implanting it for me. She pretended to be all aloof about having a celebrity popping round, but when it looked like she’d be out before they turned up, she managed to cancel her other engagement! I also showed him the Fisher Price records and the laser. We chatted for a bit about motorbikes while the crew sorted out the next destination – a taxidemist who stuff mice in positions reading the newspaper, etc. Adam (two and a half) was too shy to join us. He seemed to be a really nice genuine guy. And whilst it looks like a bit of fun it seems like really hard work to make it look that way. They do 2 weeks solid filming morning to night 3 times. Each week turns out to be a single episode. My older boy Adam is motorbike obsessed and loved his KTM SuperDuke. Ross even said he could sit on the bike, but a bout of shyness meant that he wouldn’t. Oh yeah – it should be on around the end of the year. 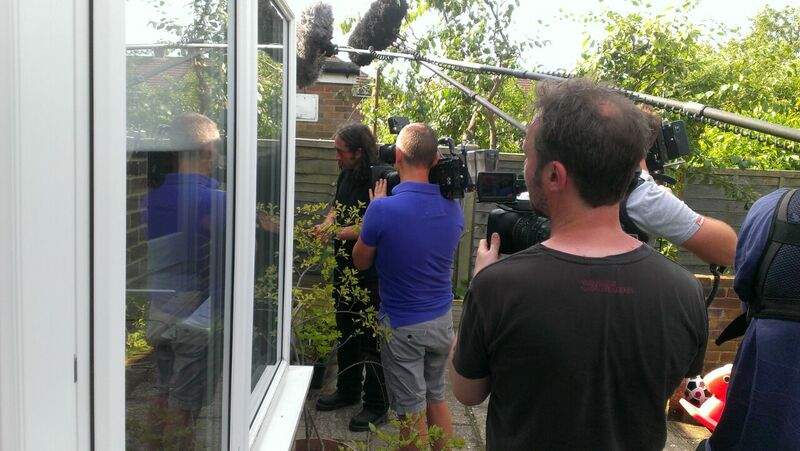 I’ve no idea how much footage they take or how likely I am to make the final cut. It’s a great series though. Watch it anyway.